On the top of the World...: Purple Day@WIS, Udaipur. And the bruise on my thumb. Purple combines the calm stability of blue and the fierce energy of red. The colour purple is often associated with royalty, nobility, luxury power and ambitions. 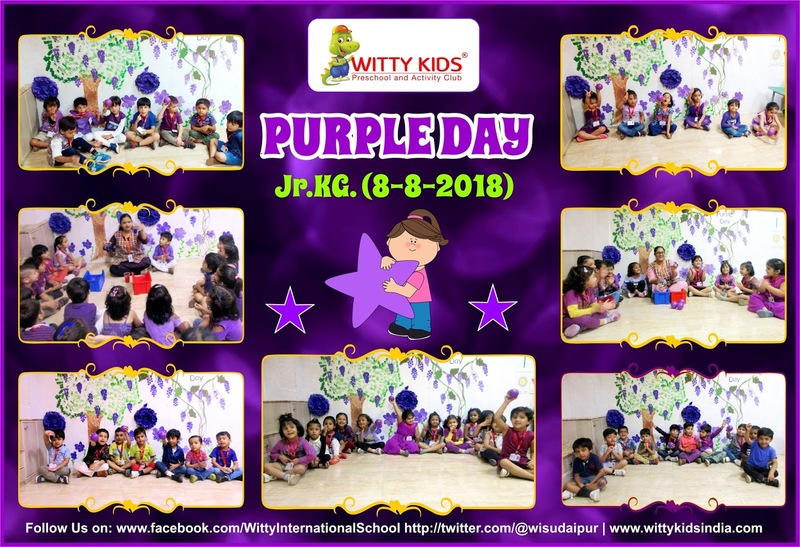 On 08/08/2018 Wednesday little Wittians of Jr.KG at Witty International School were introduced of Purple colour. 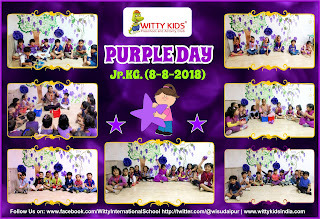 The class was beautifully decorated with Purple colour objects. The attire wore by the teachers and children were of Purple colour. They learnt more about the colour through an experiment by mixing red and blue colour. Children were very happy to make rainbow with the different coloured crepe papers in their scrapbook. The day spend by them was full of happiness and energy.